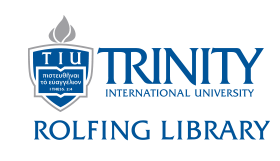 As a Trinity student, you have access to over 30,000 online journals through the library databases. If you find an article you want that is not online, you may request it from the Trinity library or another library. How to request articles. Search multiple databases at one time. Check the "Full Text" box to limit to online articles.